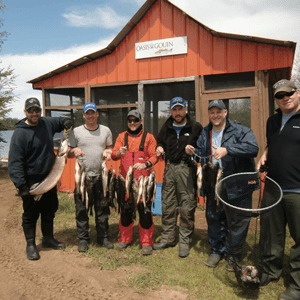 Walleyes and pikes fishing lovers and nature and shore enthusiasts, you will be delighted with your visit to the Outfitters Oasis du Gouin. 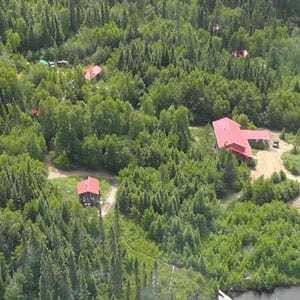 Located in the heart of du Gouin Reservoir, Oasis du Gouin Outfitters offers a pleasant setting on a 42km2 island at the junction of Chapman Bay and Marmette. Only accessible by road to the landing stage, you can then join our outfitter with a taxi boat in just 10 minutes. Learn more about this unique place in the heart of the Gouin Reservoir which offers excellent value for money. 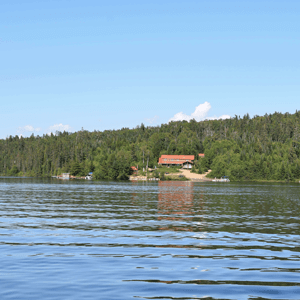 Located in the Haute-Mauricie, the Gouin Reservoir is a popular spot for fishing and the beauty of its landscapes. As soon as the nice weather arrives, fishing enthusiasts can come as a group to our Oasis du Gouin Outfitters to enjoy the many fishing sites available. 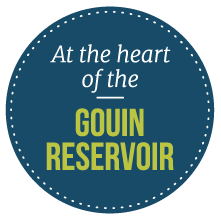 In addition to fishing, the Reservoir Gouin is located on an island, which provides an ideal setting for relaxation. Between nature and the shore, you can do many activities. You will never be bored! 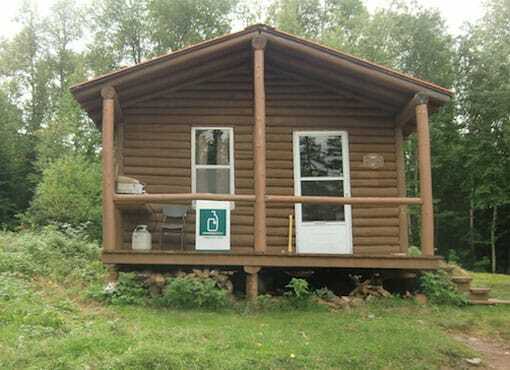 Cottages in the Gouin Reservoir all isolated from each other welcoming from 2 to 15 people for you to enjoy the peace and nature. 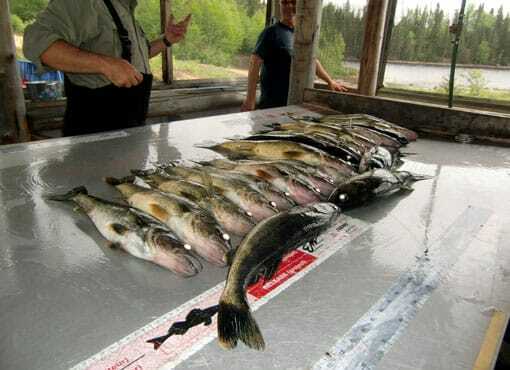 Walleyes and pikes fishing sites just minutes from your cottage. In addition, you can have a boat to explore the shoreline. By going to the Gouin Reservoir for the first time, you will live an unforgettable experience and you will never get enough of this preferred area to live your passion for fishing. We are happy to welcome the same customers each year! Walleyes, pikes, cottages, boats, electricity, proximity to nature and water or tranquility are all elements that you can fully enjoy during your visit to the Gouin Reservoir, and more specifically in our Oasis du Gouin outfitter. Our outfitter has many items at your disposal including equipment, accommodation and service at very competitive prices. You will find everything you need and you will be surprised by the high level of quality of our outfitter. Located on an island, the Gouin Reservoir offers a pleasant setting while being very quiet. You will enjoy the beautiful weather and nature, while being eccentric. Our team is attentive to your needs and all your requests. We are available at all times to make your stay a wonderful memory. You would like to enjoy some time in the heart of Gouin Reservoir? 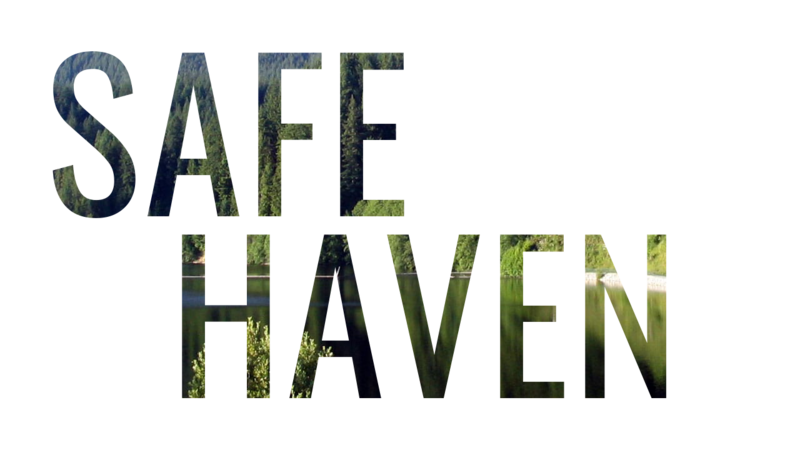 Check out our rates and how to get there. For an excellent stay, contact Oasis du Gouin Outfitter today at (819) 840-3749 or our office at (800) 959-7453.